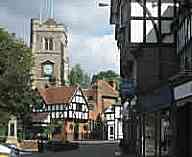 Pinner Local is the Directory website for Pinner. We also offer our clients support on Instagram and Twitter.It is the portal for Pinner on the internet so that you can find all the information you need in one location on the Internet. It serves the local community, businesses of all types, restaurants, shops, schools the people of Pinner and visitors as well. It provides links to what is going on in and around the village. When you search locally on Pinner Local you will be able to uncover for yourself just how many different aspects there are to living in and visiting this delightful and historic village in North West London.